It's been a long time since we heard anything new from Beirut. Their phenomenal album, The Rip Tide, came out in 2011, and we've been waiting rather impatiently for something new ever since. According to NPR, the band will have a new album out September 11 of this year. Hooray! In the meantime, we have this brand-new summery, upbeat and joyful tune "No No No" which also happens to be the name of the forthcoming album. 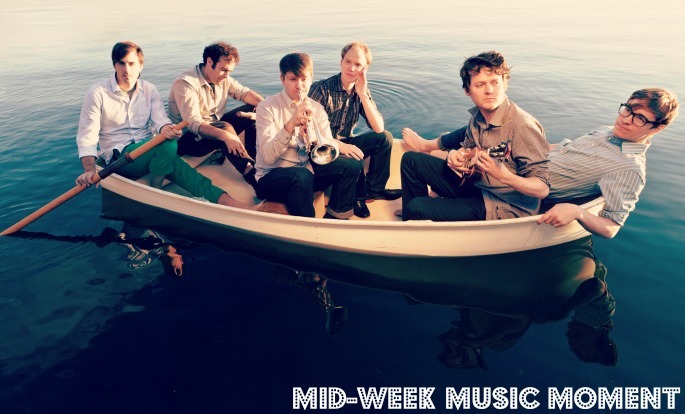 Have you missed Zach Condon's singular voice and Beirut's whimsical indie-pop vibes as much as I have? Very nice post my friend! I loved reading it. I love music events and just attended grand one on Christmas night at domestic Chicago event space. Truly, all the band members were superb. They were highly talented and gave wonderful performances.